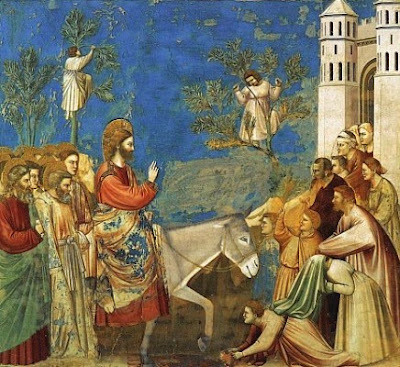 To summarize, it looks like the crowd on Palm Sunday is associated with those sympathetic to Jesus, as Luke mentions "a whole multitude of the disciples" and John mentions those who had "been with Jesus" at Lazarus' resurrection, who continued to testify to this act. Both Luke and John mention the presence of the Pharisees, either as those in the crowd itself, or as onlookers. Matthew and Mark offer the least help in naming the participants. Jesus' sentence of death before Pilate is what now concerns us. It's especially important to consult the Gospels themselves to see who was in the crowd before Pilate, the group who pronounces the judgment of death by crucifixion (a Roman punishment). There are plenty of inconsistencies in the accounts with actual Roman law as it was supposedly practiced in the time of Jesus, and a great resource in this area is the classic, The Trial of Jesus by Chandler. Here, however, we're just trying to answer the question as to the make-up of the crowd that shouted "crucify" before Pilate. Gone from the crowd is also any mention of the Pharisees, though they are there in some of the accounts of the Triumphal Entry. Their warnings on Palm Sunday become fulfilled during the arrest and trial. The Pharisees, the teachers, who later become the rabbis of Judaism, are not the power brokers in the story. 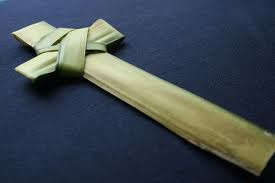 You might even consider their warnings on Palm Sunday to be akin to a "word to the wise." Luke has Pilate calling together "the chief priests, the leaders, and the people." Luke 23:13 NRSV These are the ones who later shout, "Crucify, crucify him!" in Luke 23: 21. For Matthew, the presence of the chief priests and elders were the reason the people turn: "Now the chief priests and elders persuaded the crowds to ask for Barabbas and and to have Jesus put to death. " (Matthew 27:2o NRSV) Mark 15:11 has the chief priests acting alone to stir up the "crowd." Interesting that Matthew has "crowds" and Mark has "crowd." From the above account(s), the temple authorities really take the leading role, all the way to the last words of the "crowd" in John 19:16. The accounts firmly place a primary role to the chief priests, the elders, and their security force made up of Temple police, and Roman soldiers. The rest of the crowd's make-up doesn't appear to be a concern of the Gospel writers. And nowhere do any of the Gospels state that the crowd before Pilate is the same group as that of the Triumphal Entry. In comparing these two accounts in the Gospels, about the only thing I can conclude is that on Palm Sunday, it seemed to be the disciples day, whereas; on Good Friday, the voices "Crucify him!" prevailed. Luke 23:22 But these voices were led by the Jewish Temple elite, not disciples, and not even the Pharisees. Granted, it sounds cool to say that the same crowd that welcomed Jesus as their king a few days later shouted "Nail him to a cross!" But to do that, you have to go beyond what the text actually says. Further, there is no conspiracy that the writers would intend us to see the two crowds as one, not with the crowds of disciples and any sympathetic Pharisees running away from what was to happen to Jesus and anyone connected to him. As Lent begins, the chant heard from Christian pulpits and chancels will grow until it becomes one of the overriding themes of Holy Week, the week before Easter. But what in text of the Gospels suggests that this is really the case? What in the text contradicts this refrain? Instead of consulting commentaries old and new, the actual biblical text should supply the answer, shouldn't it? First, the story of Palm Sunday is told, also known as Jesus' Triumphal Entry into Jerusalem. (Luke 19: 28-40, Mark 11:1-10, and Matthew 21:1-9, and John 12:12-19) Mark writes, "And many spread their garments on the road, and others spread leafy branches which they had cut from the fields. And those who went before and those who followed cried out, "Hosanna! Blessed is he who comes in the name of the Lord! Blessed is the kingdom of our father David that is coming! Hosanna in the highest!" Matthew describes the group and its actions thusly: "Most of the crowd spread their garments on the road..." Matthew's account also has those in the city asking, apparently in ignorance, "Who is this?" Luke defines the group that is present as "the whole multitude of the disciples" Luke also places some of the Pharisees in the "multitude" telling Jesus, "rebuke your disciples." Richard Lischer's wonderful memoir, Open Secrets, reminded me of an oft repeated phrase from divinity school days. Being a "quivering mass of availability" was an epithet used for those of the Rogerian bent. Carl Rogers, the founder of the Rational-Emotive School of Psychotherapy, was the Socratic figure of the Twentieth Century. In contrast to the Rogerian method of listening to and validating others, we were warned not be rudderless and passive in our pastoral leadership. It was the 80's and the new model, "pastoral assertiveness," was in. But the assertive leader, I later learned, assumed that one is available first to God and to oneself, in order to be fully present to others. As one wise clinician in pastoral care said, "The quality of any pastoral intervention depends on the quality of your inner self." Like a vortex of false promises, the tempting lie is to try to please others or ourselves by copying some ideal. It makes us susceptible to being led away from our true self. We might become less aware of everyone in our life, even to God and ourselves. We easily wander off our true path- what we are gifted to do- in ministry to others. Assuming we can conform to the image of what people consider to be successful, we may not be better off at all. 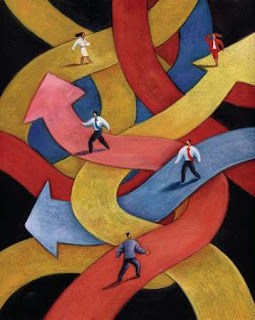 Maybe the best "model" is none at all, because the people we serve are not abstractions --and neither are we! Why search for the ideal in what is ultimately false in you and thereby encourage others to do the same? Our identity itself is a mystery, known and loved most exhaustively by God alone. (Psalm 139, I Corinthians 13). 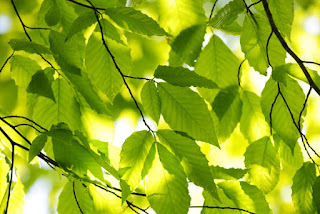 Our true self, our most alive and God -infused life is not about finding the ideal model or scheme in ministry, but rather, being connected to the life- giving Holy and Loving Spirit. This connection is the head water and the source of all ministry.